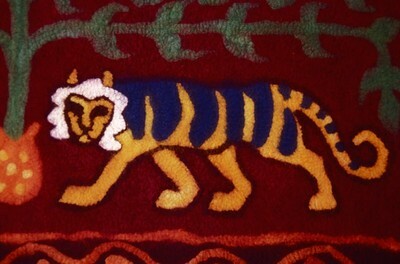 “The Swedish Felt Carpet” conveys fake textile history based on thorough research. 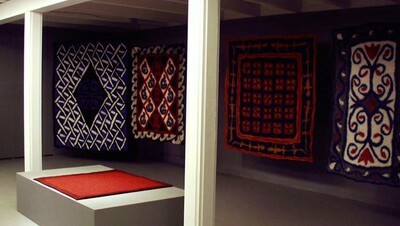 Devotedly it examines the possibillities of Swedishness, the limits of fiction and the relation between arts and crafts. A. K. Westin, artist, born in 1975, has been a resident of many places in Sweden, from Övertorneå in the north to Vara in the south. Special interests: woll, opera, cartoons, matters of gender and cultural history. 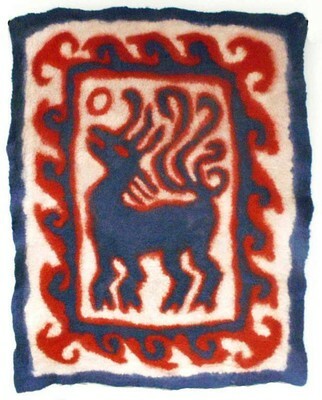 The first version of “The Swedish Felt Carpet” was presented as an examination exhibition at Umeå Academy of Fine Arts.